The Geneva International Motor Show 2016 has been started from 3rd March and auto-mobile giants are showing their iconic products at ongoing show. 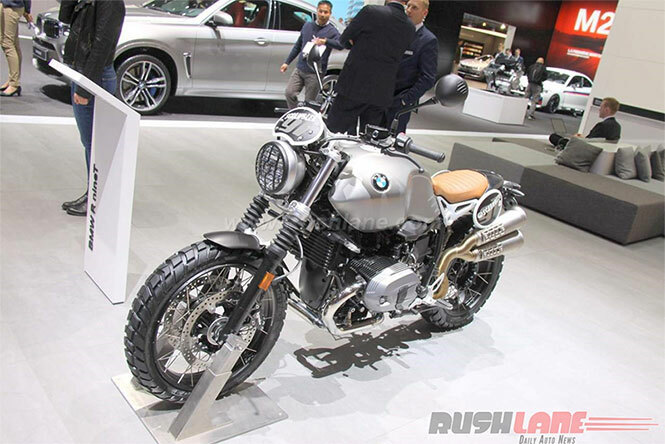 The German bike manufacturer, BMW Motorrad is also all set to showcase its customized version of the BMW R nine T Scrambler at 86th Geneva International Motor gala. 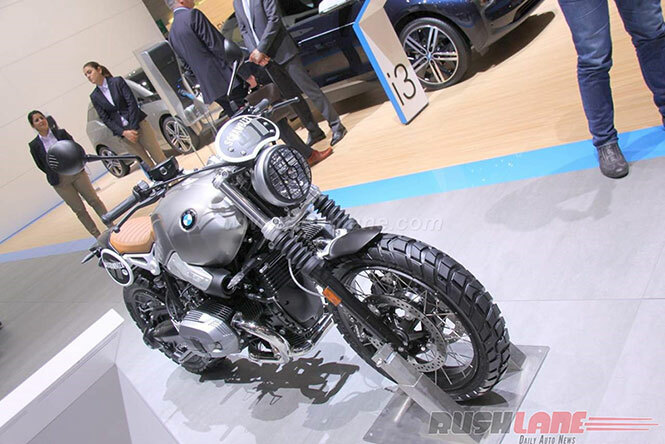 Talking about its designing, the scrambler is customized with several custom components. The standard version comes with alloy wheels, while the customize version houses spoke wheels and off-road tyres. Other noteworthy features are rounded headlamp with protector, small front fender, massive fuel tank, compact LED tail-light and high mounted twin exhaust. 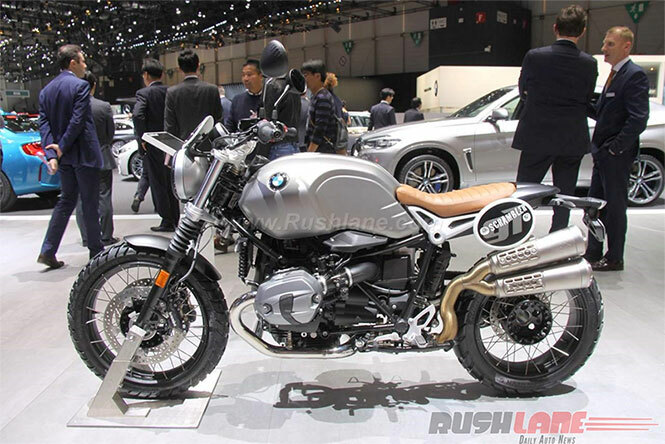 Now comes to powering, the customized version sports with a same 1,170cc, air-cooled and flat-twin boxer powerplant that churns out a maximum power of 11 PS at 7750 RPM and a vertex torque of 116 Nm at 6,000 RPM. The mill is coupled to a six speed transmission. It is capable to reach at a maximum speed of 200 KMPH. The R nine T Scrambler is manufactured on a three-section tubular frame that offers a dynamic stability power. The braking duties are performed by twin disc brakes at the front end and single disc brake at rear side. The motorcycle offers a perfect balancing power as it is incorporated with sturdy telescopic front suspension and rear monoshock.